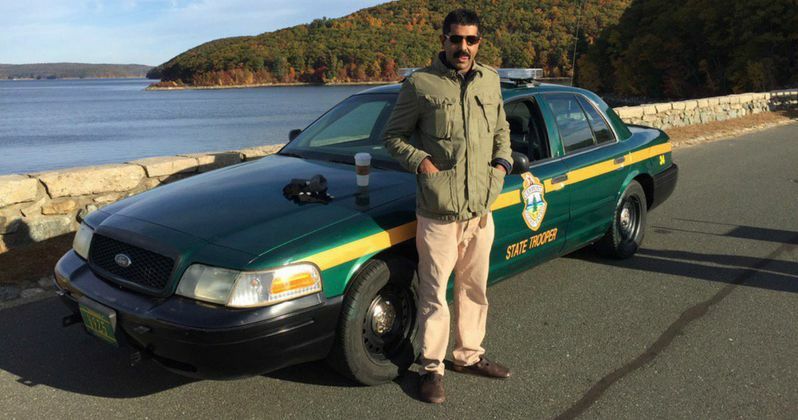 Steve Lemme also shared a new set photo featuring Kevin Heffernan, while Jay Chandrasekhar also offered a look at the set. It has been a very long 14 year wait for Super Troopers 2. The film is actually up and running with help from all the Broken Lizard fans out there in the world. Broken Lizard launched an IndieGogo campaign earlier this year, with a goal of $2 million. The comedy troupe arrived at that goal in just one day. The production has gone onto raise over $4.5 million. And now, the boys are putting that money to good use as they bring their Vermont State Troopers back to the highway for a lot of fun and some danger. While no plot details have emerged as of yet for the sequel, backers who pledged at least $10 to the cause got access to the script. None of those backers have revealed anything as of yet, keeping in the spirit of the team's goal to shock and surprise its fan base. It's probably a given that most fans aren't really going to Super Troopers 2 for the plot, anyway, but are more excited about the weird jokes and quotable dialogue. You can check out these latest photos as shooting continues this week. At this time, the long-awaited sequel does not have a release date.